Pennsylvania Medical Society, American College of Radiology, American Roentgen Ray Society, Radiologic Society of North America, Berks County Medical Society. Gastrointestinal Imaging, Nuclear Medicine, Oncologic Imaging, and Ultrasound. Dr. Gregor joined WRRA in July of 1996. Dr. Gregor is currently serving his second term on the Credentials Committee for the Reading Health System. Further, he is the radiology representative for the Reading Health System's Applied Physician Leadership Academy. 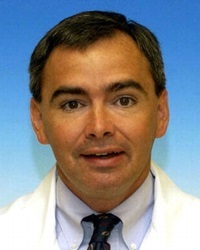 Dr. Gregor is currently the Fluoroscopy Modality Chief and participates in many multidisciplinary conferences. Dr. Gregor is the radiology representative for the Surgical Institute of Reading. If you are a patient and have a question about your appointment or require additional information, you may contact our scheduling department at 484.628.8611. © 2014, West Reading Radiology Associates. All Rights Reserved. This site's web design and hosting provided by Gilbert Creative, LLC., Reading, PA.